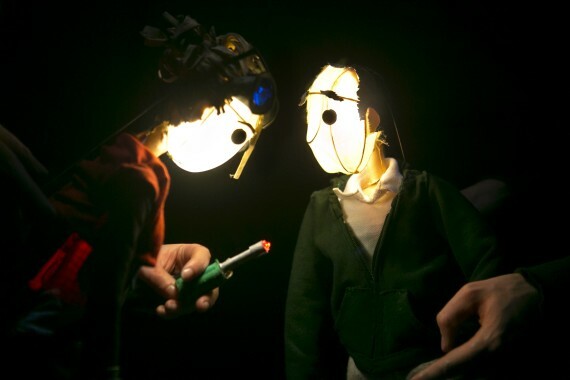 Tortoise in a Nutshell is an Edinburgh based visual theatre company dedicated to creating theatre that inspires and ignites the imaginations of its audience. Over the last eight years we have toured work extensively throughout the UK and internationally, delivering over 400 performances across 80+ cities in 8 different countries throughout the world, including Switzerland, Denmark, Montenegro, Poland, Austria and Mexico. Since forming in 2010, the company have been recognized with multiple awards and nominations, including winning a prestigious Scotsman Fringe First and an IdeasTap Edinburgh Award, and nominations for two Total Theatre Awards and two Arches Brick Awards. We were the first UK company to ever be nominated for the Grünschnäbel award for young companies at the Figura Theaterfestival, Switzerland.